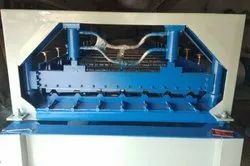 Suitable Material Q235 color steel sheet;0.3-0.7mm Working speed About 20m/min Power Requirement Main motor power: 7.5 Kw(Depend on final design) Hydraulic station power: 2.2 Kw(Depend on final design) Material of forming rollers No.45 steel, plated with chrome on surface. - Number of forming stations : 23 nos. Truck mounted machine which can be taken to site for fabrication. We are suppling from China Machines. Our company is able to to provide PVC Roof Making Machine to our valuable customers. 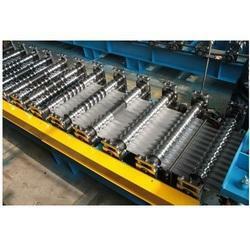 We are engaged in the manufacturing, supplying, and exporting of Roofing Sheet Forming Machine. Our offered range of machines is highly appreciated by the clients all around the world for its unique property like smooth and flexible performance and robust construction….